Negotiating Beyond the Product™ | Jack B. Keenan Inc.
Supply Chain Management. PICOS. Lean Manufacturing. Corporate Supplier Reduction Programs. SCORE. Spend Management. Design Cost Reduction Ramps. Reverse Auctions. Processes such as those named above are explicitly designed to fragment your offering into its component parts, commoditize your value, and attack your selling price and profits. Throughout most supply chains, organizations are keenly focused on reducing time, variation, and most importantly, costs. Your sales people are up against seriously smarter and more strategic procurement processes and professionals than ever before. Maintaining share, margin and most importantly, your long-term customer relationships is becoming more challenging. Negotiating Beyond the Product™ is built to help your sales teams learn that there is an alternative to the common options of ‘hard’ negotiation, which hurts the relationship, and ‘soft’ negotiation, which hurts the revenue. Informed by both the Harvard and the Wharton negotiation projects, Negotiating Beyond the Product adds to these bodies of knowledge a thorough study of the procurement process and practices that your people face – yet might not recognize – every day. 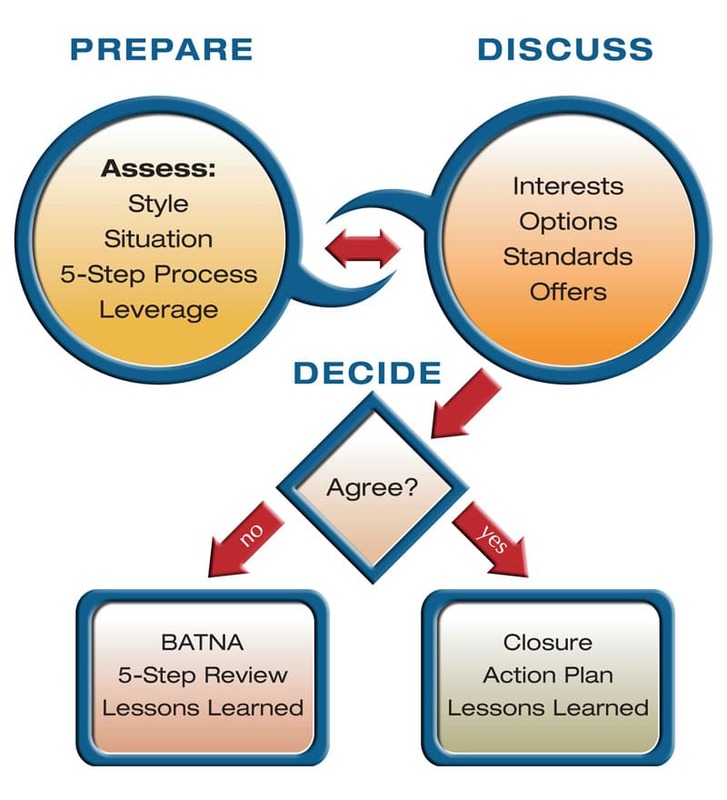 Designed as a working session, Negotiating Beyond the Product provides ample opportunity to practice the skills in the context of a realistic set of scenarios that have been tailored to your business, and then the opportunity to plan for a live on-going negotiation. Finally, to enable application and best practice sharing, your Manager’s are provided with an Application Module – a fully scripted two-hour “sales meeting-in-a-box” during which their teams can review key negotiations and learn from their success and failures. By using this methodology, your teams will have their best chance at turning an adversarial situation into a problem solving negotiation, with positive impact on the relationship and the revenue. of our Negotiating Beyond the Product fact sheet or contact us directly.